Raise your hand if you are up to your eyeballs in zucchini this season. If you are or if you have a neighbor that is like me or if you simply love zucchini…anything, make this Sweet Skillet Zucchini Yogurt Cake. Growing up I never once had zucchini bread or cake. When I met my husband he would tell me how awesome his mothers zucchini bread was and I was like, eew!!! Zucchini in bread? Nope, not gonna do it. It wasn’t until one day when my neighbor Amanda made me try hers that I finally saw the light and reveled in its deliciousness, lol! What can I say, growing up we always had Banana Bread and Irish Soda Bread, never once did I have pumpkin anything outside of pie, which I didn’t like or zucchini other than as a vegetable from the garden. So for the last 10 years, a whole new world opened up for me just around those two veggies, lol! 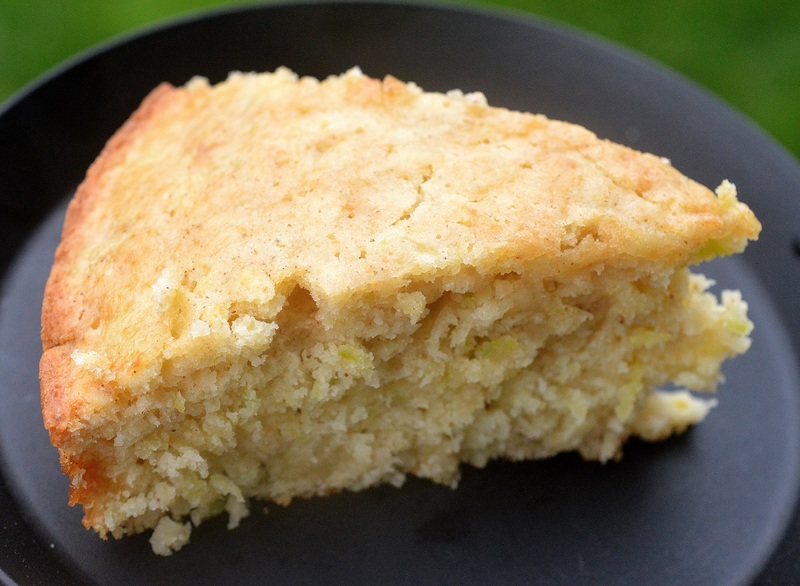 In addition to this simple Skillet Zucchini Yogurt Cake, I also make zucchini bread, chocolate zucchini bread, savory Parmesan Zucchini Cakes, pumpkin bread, Pumpkin Crunch Cake, pumpkin muffins and more. I have to stop before I go all Forrest Gump on you. I linked to a few recipes as you can see that I have posted on here. The Zucchini Parmesan Cakes are SO good, you have to give them a try! As is the Pumpkin Crunch Cake, it’s different and yumalicious! 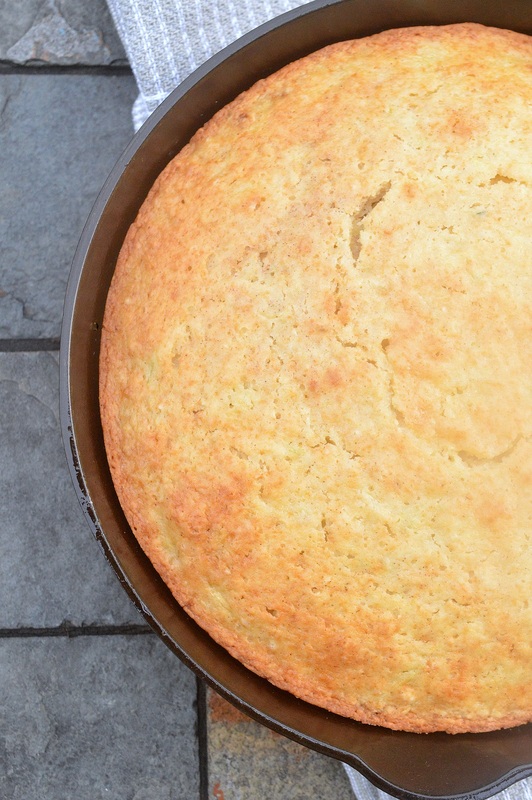 If you have garden zucchini or can run into your neighbor’s yard and steal one (kidding) or pick some up at the store, make this easy Skillet Zucchini Yogurt Cake! The zucchini my neighbor gave me was literally as long as my arm! and so fat!! I only used 1/4 of it for this cake! Crazy what a lot of rain can do to garden veggies! Does it need to be made in a cast iron skillet?? Nope! You can make it in a cake pan or a loaf pan (will take a little longer to bake through in a loaf pan). You can also choose to leave the skin on, or some of the skin on for a bit of color. I choose to remove the skin. This is sweet, so I don’t add anything else to it. We like it warm from the pan. It usually doesn’t last long, lol! Especially with my 15-year-old son around! If you want, you could sprinkle powdered sugar over-top when cool, just for a look, however, this Skillet Zucchini Yogurt Cake is delicious as-is and in my opinion adding icing would make it just too sweet. 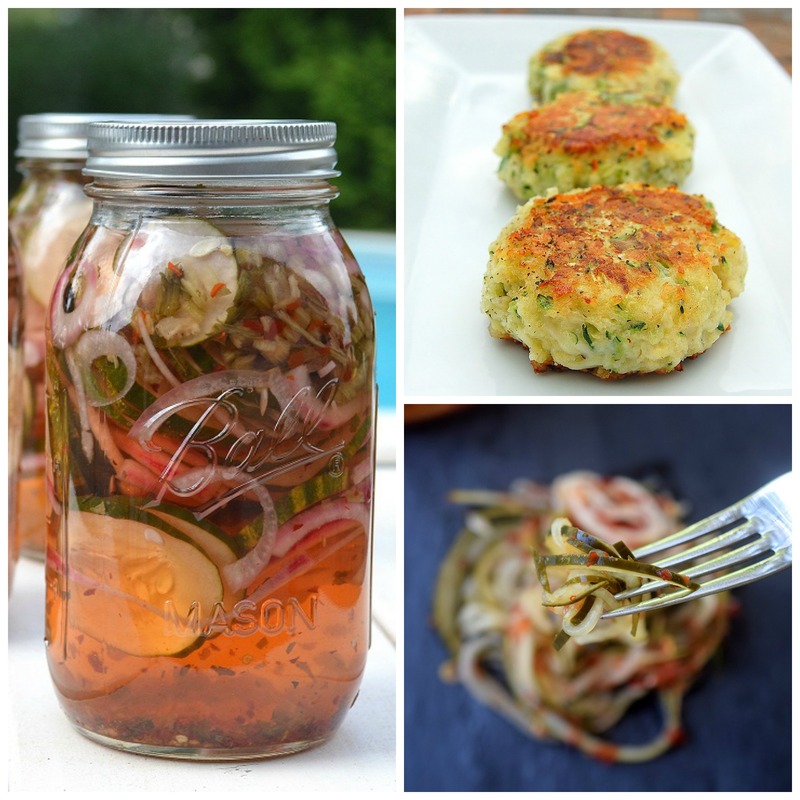 If you dig zucchini, try these Parmesan Zucchini Cakes…They are SO good!! And if you have a garden and you are overrun in cucumbers, these Quick Sweet & Spicy Cucumbers are crazy-good! So many people have told me they have made them many times! You can even spiralize them and do this! Combine eggs, oil, yogurt, vanilla, sugar and brown sugar in a mixing bowl and stir until smooth. Add in zucchini and mix till combined...Make sure you gave it a squeeze or patted it down with paper towels. You just want to get 75% of the moisture out of it. Add in flour, baking soda, baking powder, salt (and a few dashes of cinnamon if you like) and mix until smooth. Grease a cast iron skillet, cake pan or loaf pan, pour batter into it and bake for 30-45 minutes (depending on pan) until a toothpick inserted comes out clean. This looks great but the ingredient list as printed here doesn’t include how much baking soda – top of the list got messed up. Actually even lower in the list the there’s a typo on the amount of baking soda. I’m not enough of a baker to figure out what I should use.